Angels are beautiful being of light, created by the source of all life to help us in our day to day life. There are many different types of angels and each angel has a different job and area it can help you in. Angels are around us more and more and people are reporting encounters with these beautiful beings of light. The angels come in request to are prayers for help. They help us with are challenges and daily requests and are always there for us. The angels come to teach us to solve things with love and to help release us from suffering. Angels love us unconditionally and are always there for us. They will help you with anything you need help with there are no limits to angels help. 1) Ask the angels need your permission to help you only exception is we are in a life threatening situation and its not your time to go. 3) Trust in God, do not tell them how you want it to be dealt with have trust in god's wisdom to come up with the best solution for you. 4) Follow the angels guidance: you may receive instructions on how to solve the problem, they will give you directions in the way that you are most able to understand such as a dream, a voice, your intuition your feelings a special way that you will know this is there guidance to you. Angel attunements are another great way of becoming closer to your angels, it strengthens the bond between you and your angel's that are aligned to you and whenever you call on them they will be there by your side. You will develop a deeper communication and relationship with them, and have instant access to there healing power, and you learn in greater deal about the angels how they can help you and what there individual purpose is. There are many attunements with angels that will help you to make your bond stronger and develop a clear communication with them, the more you work with the guidance that comes from the manuals, and the more healing you do on yourself, the better you will get at sensing there presence. If you are in need of healing let me know and I will send some for you. 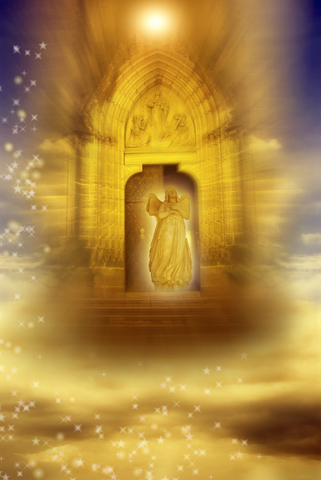 There are many types of archangels, the traditional types listed here are recognised in all religions, they are; Archangel Michael, Archangel Raphael, Archangel Uriel and Archangel Gabriel. There are many more known Archangels that have been recognised by spiritual teachers, such as, Archangel Ariel, Archangel Azrael, Archangel Chamuel, Archangel Haniel, Archangel jeremiel, Archangel Jophiel, Archangel Metatron, Archangel Raguel, Archangel Sandalphon and Archangel zadkiel. Arch-angelic Seichim Reiki. (Pre- requirement Seichim Reiki or Reiki Master). This type of Seichim Reiki involves the assistance of the Archangels, to whom you will be connected. Seichim Reiki was discovered by Patrick Zeigler in 1980. It is an Egyptian form of Reiki. Patrick Zeigler spent a night inside the great pyramid in Egypt and received his power and healing. The energy of Seichim helps to release you from energy blocks and brings you back into balance. This is a delightful healing system and with the help of the archangels, will allow you to heal yourself and others. Archangels are extremely loving, caring, friendly beings of light created by the source, and they love to help humans. So let them help you with this beautiful attunement.